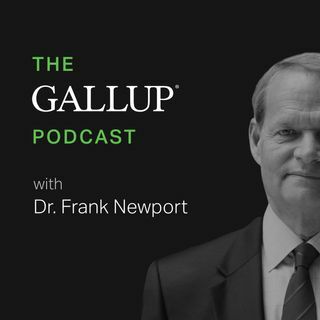 A weekly podcast with Dr. Frank Newport, Gallup Editor-in-Chief that ensures the collective wisdom of the people is used in appropriate ways to help leaders and elected representatives make better decisions. Gallup delivers analytics and advice to help leaders and organizations solve their most pressing problems. Combining more than 80 years of experience with its global reach, Gallup knows more about the attitudes and behaviors of employees, customers, students and citizens than any other organization in the world. Gallup works with leaders and organizations to achieve breakthroughs in customer engagement, employee engagement, organizational culture and identity, leadership development, talent-based assessments, entrepreneurship and well-being. Our 2,000 professionals include noted scientists, renowned subject-matter experts and bestselling authors who work in a range of industries, including banking, finance, healthcare, consumer goods, automotive, real estate, hospitality, education, government and business-to-business (B2B).